Today we are going to be looking at the two best backpack hunting tents used by ultralight hunters. Like all our gear, with the exception of our food. What we pack into the backcountry we also have to pack back out again. Of course, all going to plan, this will be loaded up with the additional weight of a trophy head and a backpack full of venison. For most of us, the items that often add the most weight to our packs are our sleep systems, food/water and our shelters. So when it comes time to replace your old tent it’s a good opportunity to reduce your pack weight. When trying to find the best tent or any ultralight gear for your hunting or hiking it’s important to realize that at some point on this journey of becoming ultralight, your pack weight reductions will start to impinge on comfort you have in the backcountry. In most cases choosing the best tent for backpack hunting and hiking is one of those choices. Thankfully, in the case of these two tents, neither company has crossed the line. Neither single or double wall tents will protect you from a grizzly bear breaking camp but both offer specific advantages to the backcountry hunter or hiker. Single walled tents are typically best suited to Ultralight alpine applications where its cold and dry. They are less complicated in design and faster to erect in what are often trying conditions and they are also likely to be lighter in weight than double walled tents. There are drawbacks in that they are not at all breathable and moisture condensates badly on the walls and ceilings. Generaly they also don’t tend to be designed to provide as much protected gear storage by way of vestibules. In most, if not all single wall tents they rely on venting to mitigate condensation. In alpine conditions by venting you are sacrificing warmth to manage the amount of condensation and it can be a tricky balance to get this right. In my experience the condensation management is left up to the hunter and unfortunately at these altitudes is just the price you pay in the conditions single wall tents perform best. As tents have evolved from their canvas beginnings, their designs started to incorporate 2 layers of fabric to achieve breathability and waterproofness. Double walled tents work best in hot, humid, rainy conditions and offer more versatility than the single wall tents. As the name suggests they are constructed of two walls. The rainfly which is seam sealed and designed to be 100% waterproof and not at all breathable and the inner tent which is 100% breathable but not waterproof. This generally will consist of what we call a bathtub floor which is seam sealed and extends up the tent walls 6 – 8 inches and connected to a breathable netting. By combining the two wall system you also get the benefits of both. With double walled tents you can almost guarantee a dry tent with multiple doors and plenty of airflow and vestibules for gear storage. Like single walled tents the tent fly is susceptible to condensating and droplets can form on cooler nights. How bad this is, largely comes down to specific tent design. Doubled wall tents will also need more guying and staking that will require regular tensioning to keep the rain fly taut. The added space and comfort these tents offer do come at the cost of a little extra weight compared to to single wall tents. 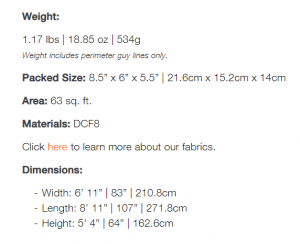 If you have been a hunter or hiker for some time you will know that the lightweight materials commonly used in backpack tents are durable and often costly. Unfortunately the tents that we rate highest are not immune to this fact. If budget is a constraint we have chucked in a good alternative for you at the bottom of this post. With that in mind, the tents that we have reviewed are in our view the top performers for multi-day backpack hunting and hiking. These are rated highly because they are lightweight, superb designs, and there ability to withstand the diverse alpine and subalpine weather conditions we hike and hunt. In addition to this, they also offer a fairly comfortable space for waiting out bad weather and cooking. Hi there and welcome to my site. My name is Craig Randall and today I have a very special guest with me, who has a very interesting job doing for a living what we do for fun. He spends a lot of time scouting and hunting on public land and makes a living stalking and getting clients in positions to make shots on trophies in both subalpine and alpine environments. Today I will be interviewing John Winters and I’m sure a lot of people will appreciate what he has to share on two of the best ultralight tents for backpack hunters and hikers. welcome to Hunting Ultralight and thanks for making some time to discuss your favorite backcountry tents with us. As you know John, we are all about learning how to hunt ultralight and it’s through sharing what we know as a community that we are able to grow in our knowledge. It also means we can save others discovering the pitfalls of buying in to the hype of “good gear” that is rubbish in the backcountry. Hi Craig, and thank you for having me on your blog. I’m a little nervous and excited at the same time to be able to share my experience of these two standout backpack tents with you and your readers today. It’s also interesting that you mentioned the hype of buying gear the market place tells us is good. In my guiding I have had opportunities to try out lots of gear that clients have brought with them ranging from binos, rifles, boots to what we are talking about today. Tents. It frustrates me no end how hard earned money has been spent on some of the crap I’ve had the opportunity to try for free. Craig Randall: Nervous…please don’t be, its great to have you here with us. Maybe if we kick things off with your first choice in the double wall category. The MSR Hubba Hubba Nx. What was it that first drew you to the Nx? Back in 2016 I received an invite from an old client of mine who is very much a friend now. He had won a ballot to hunt Wapiti in the Fiordland national park in New Zealand. If you haven’t heard of it before, this is a very remote location on the south-west coast of the South Island and is breathtakingly beautiful. We had to pack light as we were to carry all our gear as we hunted Elk for the 10 day ballot period. Fiordland extends from sea level to 5553 feet and over our time there it rained constantly for 5 days, snowed while we hunted to higher passes for 2 days and fine but cold the rest. Because I had flown in from the States the bulk of the gear was arranged by my buddy which included the MSR Hubba Hubba. This was my first experience seeing this tent in action and it didn’t disappoint. Craig Randall: I have a fairly good understanding of Fiordland so I can understand of the elements the tent would have had to endure down there. How do you find the new NX for weight? And is it difficult to pitch? John Winters: It’s probably important for your readers to note that The MSR Hubba Hubba NX is designed to be a 3 season tent. When pitching the Hubba Hubba, I recommend always using the footprint as like most ultralight tents the floor is thin. Without it, it’s only a matter of time before a twig or rock punches through the floor and your hunting gear starts getting wet from underneath. It’s a small thing you can do to extend the life of your tent. The footprint only adds a little weight to the whole system which weighs in at 3 pounds 8 ounces (1.6 kg) including the footprint. Pitching the tent is easy. There’s obviously been a lot of thought given to the design to make it fast and easy to set up. It is free standing and the only time I have actively used the guide rope system is when I know there is an extended period of rain forecast. This just helps the fly to stay taught so water beads without pooling. Another handy feature for wet weather is the gutters above the doors. These redirect water from the entrance so you can sit with the door open cooking and not get wet. Craig Randall: I know with a lot of two wall tents there is potential for condensation to build up on the fly wall and drip back through the netting. Have you had anything like this occur with the Hubba ? John Winters : Yeah I know what you mean. I tried out the Kuiu mountain star tent recently and found this to be quite bad for condensation dripping. The Hubba Hubba NX does condensate on the underside of the tent fly on colder nights. But to be fair I don’t think there is any way of avoiding this regardless of tent brand. Where the Hubba is different, is you don’t get as much condensation and there’s certainly no dripping. I also think the kickstand venting pockets at each end of the tent fly really help to minimise what accumulates and assists in quickly drying what has formed once day break arrives. Craig Randall: I know with a lot of 2 person tents I have used in the past have been a bit cramped for two people plus gear. What is the MSR Hubba Hubba Nx Like for space and storage? John Winters : This is one of the things I love about the Hubba. It has two vestibules outside each door where you can chuck your pack and rifle. I’m 6 ft and I find that inside, the tent offers plenty of head and shoulder room and spacious comfort for two people. If a trips planned for longer than a week and it’s more of a base camp set up, MSR also does a gear shed that attaches to the Hubba. This adds a bit of comfort on longer stays for minimal additional weight. The gearshed allows for more space to spread out and pack for day hunts as opposed to through hunting. Internally I have found the gear pockets to be a real space saver for phones and GPS. There is also a number of loops that are handy for hanging lights from so you can see what your doing of a night time. Craig Randall: I know for some of our readers the MSR Hubba Hubba NX may be a little out of reach price wise. Is there another double walled tent that you would suggest as an alternative? John Winters : I understand what you mean, but I look at it a little differently. If you spend $600 on a tent and it gives you four months worth of full time use, that’s around $5 a night. While you do save money initially by purchasing a less expensive tent that weighs more. The drawback is you’re carrying this extra weight with every step. If you think you will use your tent often, a lighter more expensive tent is going to me more valuable to you and your knees. If this hasn’t convinced you to stretch the budget a little then I’d look at the big Agnes Seedhouse. Craig Randall: Some of our readers won’t know John, that when your not guiding clients in on Trophy Bucks you also do a good amount of backcountry deer hunting. When you do this, you generally run with a hyperlight setup which consists single walled tent. Are you able to tell us why you have opted for a single walled tent over the MSR Hubber Hubber NX and your tent of choice. John Winters : I guess it could look like a bit of a contradiction but there is a very good reason for using the ULTAMID 2 by Hyperlite over the NX for this application. For starters, the ULTAMID 2 is super lite and versatile. While It doesn’t offer the same comforts as the MSR Hubba Hubba, it is much better suited to quick overnight hunts or weekend trips that we do. On solo hunts, we try and pack a lot lighter so we can trek further into the backcountry with the short time we have available. By packing a single walled tent like the Ultamid it reduces your pack weight significantly. The Ultamid weighs in at a staggering 1.17 lbs (530 grams) not including the central poll which is made up of your walking poles joined together. This is less than half the weight of the MSR Hubba Hubba NX and offers us greater flexability on through hiking and hunting allowing us to maximise our time. Craig Randall: Wow that is incredibly light !! Is the Hyperlite Ultamid 2 difficult to pitch? and being a single wall tent do you have any problems with bugs getting in? John Winters: It took a while to figure out how to set up the Mid 2 for the first time but once you have done it a couple of times its very fast and simple to erect. The sides of the tent have line locks on all tie-outs so you have the ability to adjust how low to the ground it sits. Insects don’t get inside easily and on the odd occasion that they do, they tend to navigate to the apex of the tent where they are easy to disposed of. 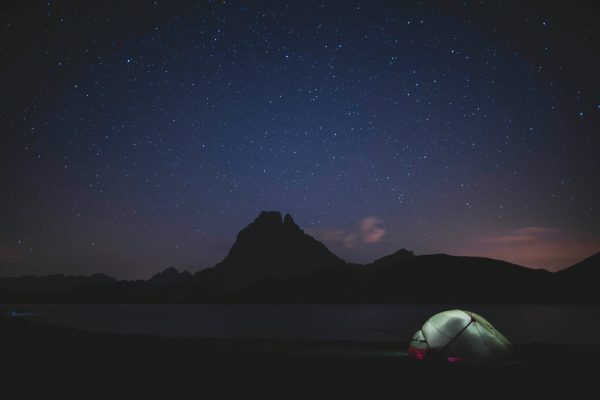 Craig Randall: What I Iove about Hypertlite as a company, is they are American owned and they love feedback on their products so they are continually look for opportunities to improve their tents. 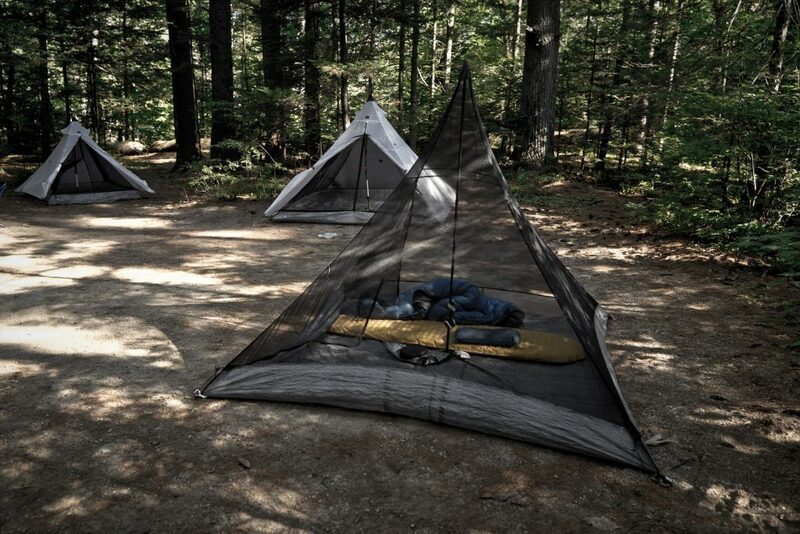 For their effort Hyperlite have produced one of the lightest tents on the market. With the Hyperlite Ultamid 2 what would be the things that hunters and through hikers would notice when using one for the first time? John Winters : There are a couple of things that spring to mind. For starters, it has been designed to be light!! There is no fat in this tarp tent. In its raw form, this is a high preforming shelter and in my view, is the best available. The Mid 2 offers plenty of space to accommodate a solo hunter or hiker and all their gear a whopping 63 f² and is clearly constructed from superior materials, DCF8 Dyneema® Composite Fabrics (formerly known as Cuben Fiber) and is fully seam sealed. The design is noticeable simplistic but incredably durable and hard wearing which is perfect for high alpine trips, long-distance backpacking, packrafting, ski touring. It has performed superbly in the snow and rain and so far has handled high winds with ease. Like all single wall tents, it does condensate. Because of the pitch of the tent this just tends to drain to the ground and there are no annoying drips. It also comes with plenty of guy lines to secure it well. Craig Randall: Is there anything that you feel could be improved upon? John Winters: I have to be honest there is not a lot that I don’t love about this tent. I guess if I were to be fussy the things I find a little annoying are things like, on wet days when you go in and out of your tent, your gear can get a little wet because of the angle and location of the doors. The Mid 2 doesn’t come with a floor so at times you feel like you’re one with the environment. This isn’t a problem normally, however, I got caught out one weekend when we had a lot of rain and water began to run through the tent. In situations like this having the bathtub floor which you can purchase separately or a sheet of tyvex would have prevented my gear from getting wet. It can also be a little noisy in strong winds so getting it set up right to start with is important.